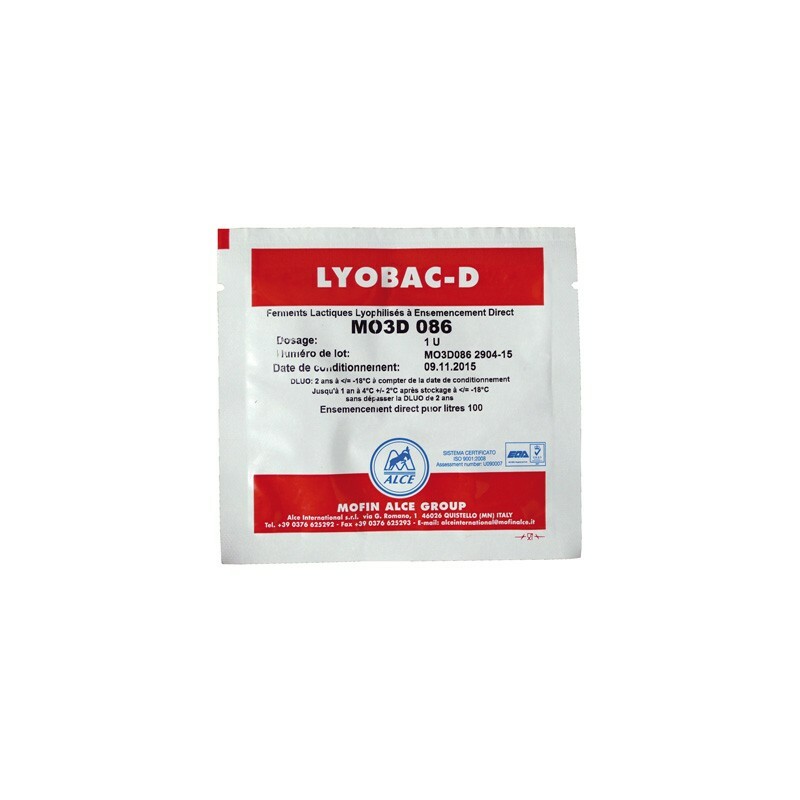 MO-3D contains a mixture of thermophilic lactic acid bacterial strains (Streptococcus thermophilus). Acidifying fast. 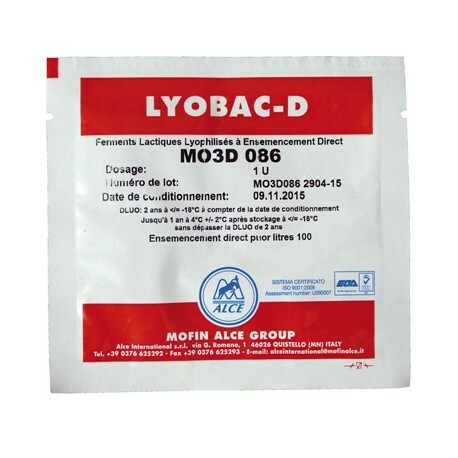 The MO-3D culture can be used for all cheeses (cow, sheep, goat). 1U bag per 100 liters of milk.